It seemed all very logical in the past: first you would open a small local business, a fast-food restaurant for example. If successful and generating enough profits, you would become known by local residents and after this first consolidation, you would think about opening a second store in a town nearby. Eventually, you would consider the opportunity of franchising your business, expand regionally and nationally. Only then, after long years of hard work, high investments and long-term strategies, you would think about taking your fast-food chain international. Notwithstanding that this process has rapidly accelerated throughout the years, with Chinese companies becoming global much quicker than US corporations, the process was still following same old steps in order to reach global markets. At that time, only the largest corporations had the chance to implement their business internationally, while smaller firms were intended to keep it local, because of their difficulties to find partnerships, understand local legal regulations and market dynamics. However, lots of things have changed the world’s economy since then. Modern communication technologies that support efficient online purchases, all the current available information that made the process more democratic, besides a less complicated procedure of logistics and delivery, completely transformed the ways of developing a business overseas. All of these developments have made it possible for more companies, especially small and medium sizes, to manage a global business without the need of sticking to the previous stages of growing a company, taking serious risks, nor investing too much. All they need now is a clever idea, a shipping platform and the knowledge about how to do it. This is how micro multinationals entered into the global game much earlier and now have the possibility to compete in bigger markets, challenging powerful multinational companies and defining a new global business culture. But What Makes a Micro Multinational? By definition, micro multinationals are also small or medium size companies (SMEs) – amounting to around 90% of all business in the world – that are either born global or that derived interesting benefits from the progress of virtual and physical gadgets and an opening global economy to expand their businesses overseas. Considered bigger than start-ups, but still not established as conventional companies, micro multinationals do not only trade internationally, selling and buying products, but also have their own operations in different countries, not necessarily having a physical presence in every market abroad. Since online platforms lowered trade barriers and made exporting an easier task, these small, often young, but already global enterprises started showing up. The majority of them generate income through online shopping, a fact that has already clearly been reflected in the growth of the logistics and delivery markets, for instance. A great example of a internet-born company is the telecommunication application Skype. Launched in 2003 by only three people and in a small office, it quickly gained the world’s attention – and is even an app on our phones now – with its unprecedented services and big ambitions. Like Skype, many other technology companies that sell digital services lead this trend, having a positive impact in the development of various other technologies worldwide. However, it is not difficult to find other types of micro multinationals going global nowadays, like in cosmetics, clothing and tourism. Of course the e-commerce merchants Amazon, eBay and AliExpress cannot be forgotten in this process of international market openness, as they provided efficient, simple interfaces where people all around the world – buyers and sellers – are able to exchange products. Stronger bonds with shoppers: being smaller can also mean having the ability to dedicate more attention to their clients and construct a closer relationship with them. For micro multinationals, being compact and agile is probably their biggest strength and competitive advantage. Hence before becoming tempted to expand your business to multiple countries and as soon as possible, it is important to evaluate the pros and cons of such a decision. First of all, learn about local regulations, culture and business practices of the country you intend to do business in. Then consider all the obstacles you might have, and how you would overcome them, not to add an unnecessary and lagging structure to your company. In order to achieve this, be sure thta you have the right partners and consultants working by your side in the new market. Even though the latest technologies allow you to manage any business from any place in the world, they will never replace local knowledge and experience, that will help you to approximate your brand to the local audiences. This same logic should be applied when hiring or managing people that will work in this expansion process, as they can contribute in the vision and strategy of your company. When speaking about money and financial transactions, you must consider the best global and local practices for exporting and accepting payments. Having the right banks and business partnerships to guide you is a decisive factor for the success in this endeavour. Lately, the world seems to be enjoying a slow recovery, which is great news for all economies, but especially for the emerging ones. Most economists forecast their growth rate to be higher than the global average. Besides their larger potential to grow, developing countries have the urgency to grow faster and the incredible ability to increase their productivity in a more accelerated pace, making them very competitive in the global market. For all this reasons, we would recommend that you pay closer attention to emerging countries like Brazil and Mexico. Consumers within these markets are savvy shoppers and looking for good quality and inexpensive products and services. How to enter new markets? A very common question is if SMEs should enter new markets as a joint venture or standalone. The answer is not that simple though. For many companies acquisition can make more sense, when they are beginners and growing in a very quickly pace, for example. In this case, expanding by acquisition can help to navigate markets successfully because they can count on more stable structures and experienced people. However, it is important to check if the acquisition of a new firm is aligned with your company’s purpose and values, and to plan an assertive integration process ahead. 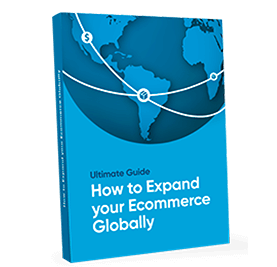 Is international expansion already part of your plan? As the times are changing and technologies evolving, so are dynamics in global business. Expanding and doing business worldwide is no longer the prestige of big, well-established companies as it used to be. Now everyone can (and maybe even should) think big from day-one and already think strategically to deliver products overseas. However, there are still many restrictions and tariffs that remain in the way of micro multinationals, or that have started from their booming expansion. Even if not all the barriers have been removed, the potential of growing a business globally is undeniable, and the story of micro multinationals seems to be only at its beginning. What about you? Do you see yourself following these steps? Let me know in the comment section below. Also, if you have any doubts about international expansion, I’d be very pleased to help you, just leave your question and I will answer as soon as possible.